Beautiful marble floors take a decent amount of work to keep their glory. 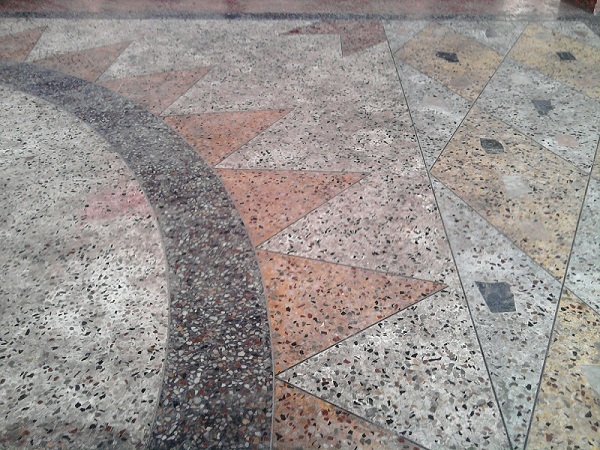 A stone floor at heart, staining and erosion can be avoided with the proper set of habits. If you have the means and the know how to get the perfect products to wash your floors and polish, have at it. Nothing like a diy clean to make your house feel like your own creation. Rule number one when cleaning marble floors and marble counter tops, stay away from acidic cleaners. Scratching of the marble is very susceptible when introduced to acidic chemical. Vinegar is a no-no! Ammonia and water, and dish soap and water should work just fine for a basic clean. To clean marble floors, make sure to sweep the floor and give the occasional mopping, albeit dry. If you want to make it shine, use a couple table spoons of baking soda and mix it in a bucket of warm water. Add some dish soap to your mixture. Soft cloth, soft sponge, or a scrub with soft bristles will get the job done. Simply dip into the water and get to work on the floor being sure to hit any nooks and crannies to prevent stray dirt from spreading. Find a good white chalk or talc to use on your floors. Add some water to make a thick mixture. Moisten stain. Lay down a layer or this newly created paste over your stain, and cover it with something, usually a plastic wrap works well. Let dry for a 24-48 hour period. When ready, remove plastic covering and wipe the dried paste away with a wet sponge. Use a sealant to apply to the area, and voila, any stains in your marble should vanish.